Whenever I tell anyone I am a criminal defense attorney, I am frequently asked, "How can you defend a criminal?" or "How can you represent someone that is guilty?" Well first, you are innocent until proven guilty. Experience has taught me not to believe everything you read. Often, people are arrested because they are in the wrong place at the wrong time. Often, law enforcement does not have all the facts. That is why I like to get involved in a case as soon as possible and find out the real story. Often, I am able to get charges dismissed before they are filed. Second, everyone under the Constitution is entitled to legal representation. But that does not really explain why I do what I do. What if the accused is your husband, wife, mother, father, son or daughter? Wouldn't you want them to have the very best possible legal defense? Wouldn't you want someone to be fighting for their rights and looking out for their best interests? I like to take a personal approach to every case I handle. Often the accused has never been arrested or been to Court before, and are now faced with serious charges. The accused and their family are now caught in a triangled web of legal terms and Court procedures that can seem confusing and very overwhelming - whether it is a DUI, a drug charge or even a simple traffic ticket. I have spent over twenty years in the system. I know how the system works. But knowing how the system works isn't enough. I spent 14 years as a prosecuting attorney. I know what to expect. It is that experience that I can put to work for you. Born in Cleveland Ohio. Graduated from River view High School (1982) in Sarasota Ft. Received a Bachelor of Science Degree from the University of Florida, in 1987. Worked as a General Contractor in Sarasota before entering law school at Samford University, Cumberland School of Law in Birmingham Alabama. Active in the Trial advocacy and moot court program. Graduated in 1991. Began legal career at the State Attorneys office in Sarasota-Bradenton. Personally handled thousands of cases over the l4 years as a State Prosecuting Attorney. 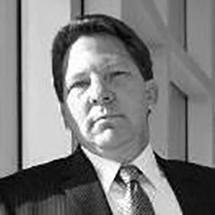 Has tried hundreds of complex misdemeanor and felony cases as lead trial attorney, gaining valuable trial experience and a reputation as an aggressive trial attorney. Left the State attorneys office in 2005 and entered private practice, focusing on Criminal Trial Practice. Has been a member of the Florida Bar in good standing since 1991, as well as the local Manatee County Bar Association. Mr. Rieth lives in Manatee County with his wife and two children. he continues to he involved with the community supporting school athletics and after school programs, and has extensive family throughout the Manatee-Sarasota area.